We are excited to announce Picolo Research as our partner. Picolo Research is renowned for the first cryptocurrency research center to partner with Bloomberg, the largest global financial information platform. As a leading research center for the cryptocurrency market founded in 2017, Picolo Research specializes in Due Diligence for early-stage blockchain projects. They provide a neutral and transparent view of blockchain companies and ICO to tens of thousands of readers across 56 countries. Starting with the distribution of Picolo Research-produced contents to the Korean market, PrixBit and Picolo Research will work together on analyzing and studying both global and Korean blockchain projects in an effort to create a healthy ecosystem and investment environment. PrixBit attended Deconomy 2019 held at Jangchung Gymnasium, Seoul. We made our presence in all official and related events to actively communicate with those blockchain enthusiasts around the world and noted on the launch of PrixBit. At the same time, we were actively looking for possible partnerships and connecting with excellent blockchain projects. Many of Korean blockchainers recognised PrixBit as the one that ‘sold-out all their exchange tokens’, or ‘the exchange that ran a fun meme marketing strategy’, and we had the chance to introduce more on PrixBit. From a global perspective, we have witnessed the such curiosity and willingness to know more about or even to penetrate into the Korean market. On the same note, we have started discussing with a few notable ones on potential collaboration. We hope to be able to share more details on such outcomes soon. We embarked on a full-scale public relations & marketing activities from January in accordance with token swap event schedule. It is observed that the search volume exploded in line with the increasing number of community posts and views. As the name ‘PrixBit’ gets known, there were a few instances of malicious actions such as attacking our official Kakao chat and Telegram channel. However, thanks to the support of the community, we have reached the goal line. 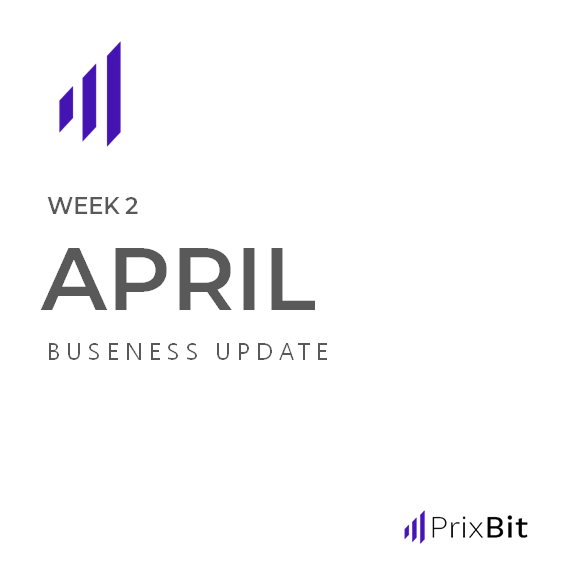 Below is the report of the marketing activities that PrixBit have carried out during the 1st quarter of 2019. We had our first offline meet-up with the community in February, right before the PrixBit token swap event. It was a great opportunity for team PrixBit to present our differentiated mining model and business plan, boasting our solid local and foreign network. Please refer to the link below for the details of the event. Many of the community members have participated in PrixBit Community Mining Event and spread the word for PrixBit through various platforms such as Blogs, Crypto community websites such as Coinpan, Cobak, Bitman, and PPomppu, etc. On these platforms, we have identified 3,000 posts with cumulative 800,000 views in total.